I saw some photos of the ‘next’ 911 on Car Magazine‘s site earlier….and can’t help but find the new outline a little awkward. 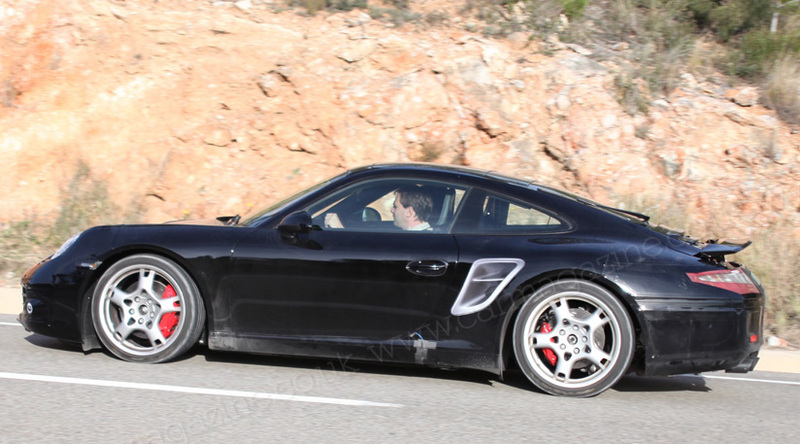 That front end looks very upright, and the whole car looks quite a bit longer than the outgoing 997. Whether this is simply an illusion doe to the way the photo was taken, or whether it’s real i’m not sure. But i am sure that i’m not too sure that i like it! We’ll have to wait til the camo comes off for the full view judgement.